We had an amazing few days in the cottage. The cottage has an amazing view from every room. The place was clean, private and plenty of room to move around as a group of 10 people. The process of booking the place with Liz to information provided in the house was very helpful and easy. I have already recommended the place to friends and family. We stayed here for Hogmanay (Dec) 2018/19 and it was fantastic. The house is amazing! 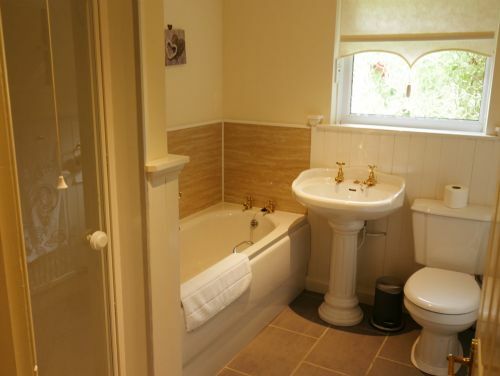 Clean, spacious and very well decorated throughout. 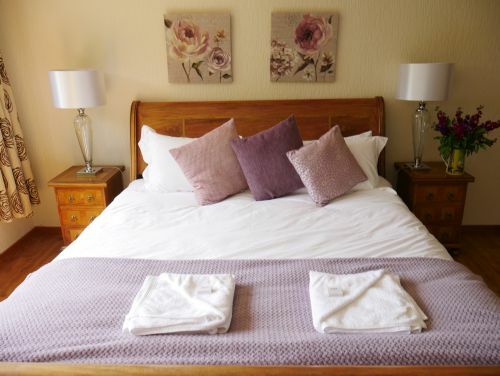 Sleeps 10 people comfortably, 4 Double or Twin (on request) 3 of which have en suite shower and toilet. All the bedrooms have TVs and look out to the beautiful Loch Lomond. Large living room looking out onto Loch Lomond again, open fireplace, TV (Digital and DVD) seating for 8-10 people (3 couches) coffee table too. Large dining room with massive table to accommodate our party no problem at all. Kitchen is well equipped too with every utensil you need and big Agger cooker/oven. The conservatory is another gem, lots of light and seating, had lovely breakfasts in here looking out to the Loch. Drying/Ironing/Washing Room - lovely space to dry wet walking boots, dogs towels, keep their food etc. Washing machine and tumble dryer are located in here too, along with ironing board and freezer. 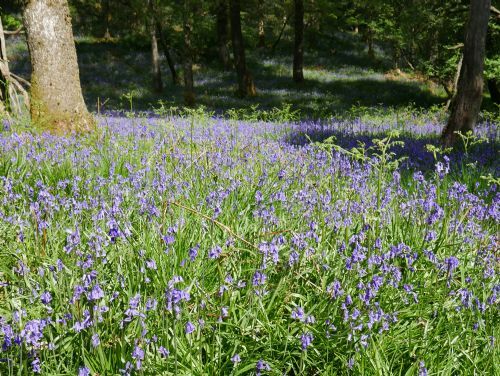 Garden is large and maintained very well with access to the banks of Loch Lomond which the dogs and us loved. I’ve given a more detailed review on TripAdvisor as the Shore House was amazing, I hope more people see it and book up to stay here. Thanks to Liz for all the correspondence throughout. I would definitely recommend staying here. Excellent house for a crowd, cosy fire in the lounge, amazing views and plenty to do in the area. A very well equipped kitchen with everything you need. Great stay and would definitely go back. We stayed here with a few family members whilst in the Loch Lomond area for a wedding in September. The staff prior to our visit were extremely helpful and very accommodating on the day of arrival and during our stay. 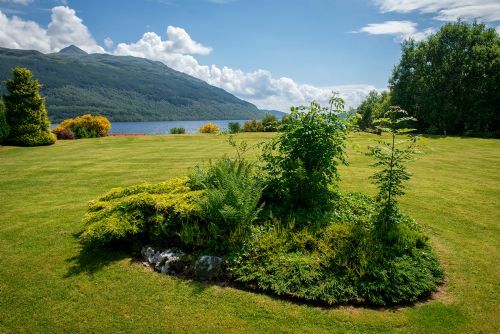 The property itself was absolutely fantastic, very clean and phenomenal surroundings with great views of the loch. 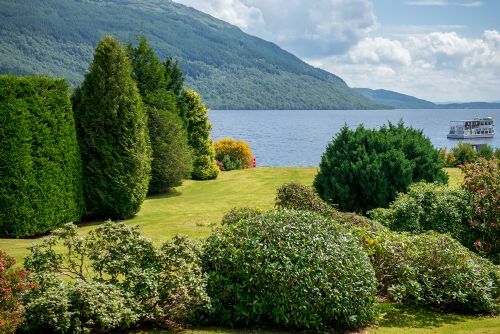 The house is perfectly located on the loch, and the views and gardens are just outstanding, and this is what you are paying for. We were 8 in total, and the house was plenty big for us all (+ our dog!) and everyone was very comfortable. That said, we've stayed in other properties at this "luxury" end of the market, and for the price we've paid for the week, we all felt the fixtures and finishing in the house was not quite at the level we'd expected, and the property could really benefit from a refresh to give it a wow factor consequent with the location and grounds. excellent stay, wonderful place, the village is nog so special but the surroundings are spectaculair. the house is very comfortable, plenty of room and also cosy when it's raining outside. thank you for having us! 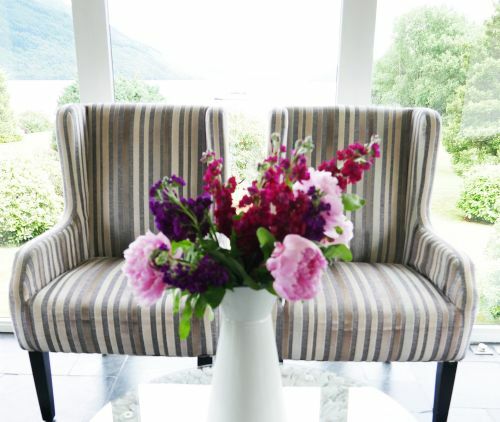 We were recently lucky enough to stay at the Shore House in Tarbet right on the shore of Loch Lomond. It was absolutely perfect and beautiful! We traveled from Canada with our family and inlaws. We were a group of 10 including 4 kids. There was more than enough space for all of us in the house and every bedroom was great...although we especially loved the ones with a view of the lake and mountains! Our favourite room to spend time in was the windowed sitting area in the back. So relaxing after our adventure filled days exploring the area. The house was very clean and we only wish we could have stayed longer. The location is excellent. 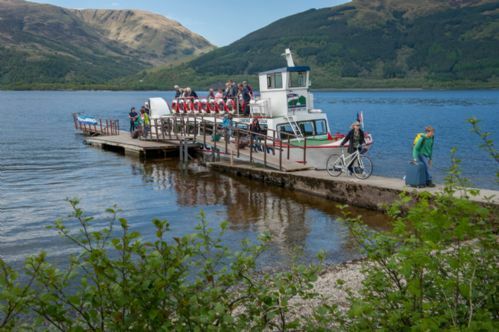 A short walk to the Tarbet Hotel, Pier, bike rentals and ferry rides. We also did a hike to Arrochar walking from the house and there's a nice little playground across the street for the kids. The owners were also great to deal with. They answered our questions right away and popped over to help fix the internet! We hope we can return one day. Thanks for making our vacation so special. This is a fabulous house. It is very clean and well equipped. We had the most fantastic time. The house is in an amazing position overlooking the Loch. The views are stunning from all the bedrooms and we had a wonderful time. The house is well equipped and laid out and the hosts were very kind in letting us leave luggage early as we arrived before the house was ready. The garden is beautiful and we were blessed with hot sunshine for 2 days which meant we could have nearly every meal outside. We enjoyed a speed boat on the loch as well as hiring cycles frowner by. We swam in the Loch and enjoyed a long walking the hills. What a great place and easily accessible. We had a fabulous time four our neice's wedding. The house was perfect and evrything was there for us. The only thing missing in our opinion was outside furniture as the weather was lovely. Amazing house, with wonderful views, private beach and massive garden. House was spacious and all rooms had ensuite and great views. This is our second Hogamanay at the Shore House and we were thrilled to bits about the place and the location! It is ideal for walks and hikes in the mountains (even in the snow) and close to shopping and kilt rentals. The title is not meant to damn it with faint praise. We knew it would be a high quality property when we booked it, we just assumed that it would be a bit characterless. All I can say is the web site doesn't do it justice. Yes it is a relatively modern, extended cottage, but it has character and was a great location for a family get together. 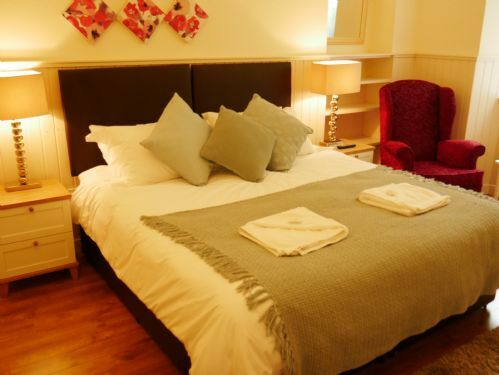 It is decorated to a very high standard and the bedrooms were prepared for our arrival to very good hotel standards. There was also a nice surprise of the supplies waiting for us, including 2 nice bottles of wine - and not all presented as a ostentatious welcome pack, just all placed where appropriate for our convenience. The garden and the views from there, also available from the 4 of the bedrooms are spectacular. The Service we received when booking was superb; extremely friendly and helpful. Although we prefer older properties in general we would consider staying there again and would definitely book with Aucheheglish again. Shore house is undoubtedly a beautiful place. Lovely and clean perfect location with stunning views. Only criticism we have is wasn't very well equipped in the kitchen. We were a large party using all the rooms but when it came to making a cuppa we had to keep washing up mugs so there needed to be extra mugs. Also no baking trays to put pizzas on and tea spoons were few and far between. Other than that loved it. We loved the house! Perfect location, beautiful view, lots of rooms very clean and comfortable. Will definitely come back! The house is located just outside the village of Tarbet, so about a 20 minute drive up the west side of the Loch from Balloch. 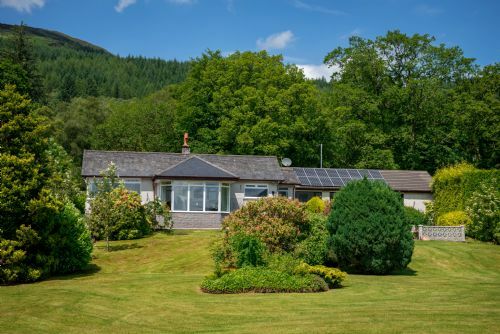 Tucked away off the main road, the house is right on the banks of the Loch with a lovely garden that runs right down to a little beach, and bounded on one side by a wee stream. It is really fantastic setting, but worth noting that young kids would require close supervision due to direct access to the water. It is great though, we even swam from the beach. 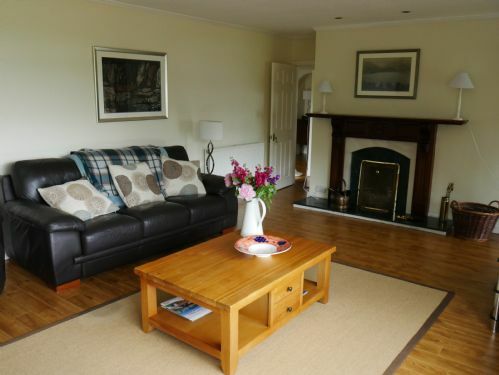 The house itself is great, all of the bedrooms and living areas look out over the Loch. The living room and conservatory are spacious and bright, separate dining room. 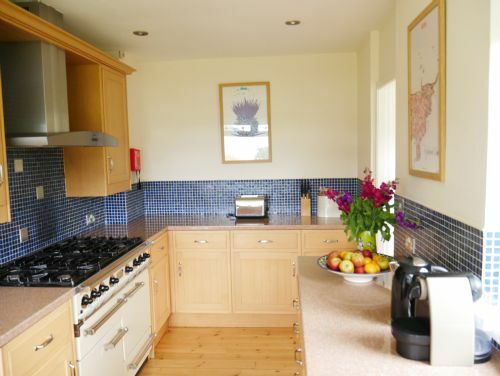 Kitchen is well equipped and the utility room at the back a great space for laundry / wet stuff. All of the bedrooms were a generous size and very comfy. Overall this was one of the best houses we have stayed at, and would not hesitate to recommend it as a base to explore the magnificent part of the world!! Shore House was absolutely perfect for our stay during the month of August. Marie and her daughter greeted us with provisions and provided an excellent welcome and local recommendations. We truly enjoyed our visit and look forward to booking again at this lovely home. We spent 5 nights here for a special wedding anniversary. The house is extremely comfortable and the view is spectacular, changing constantly depending on the light. It is beautifully furnished with extremely comfortable sofas and beds, high quality bedding and the most comfortable pillow I've ever used. However there were a few things that spoiled the perfection. Really cheap kitchen and loo rolls, nowhere to hang wet jackets (the boiler room would have been ideal, but not a hook), some lamps didn't work, lack of serving dishes and oven trays, crumbs and bottle tops in kitchen drawers, fire not cleaned out, wobbly step from conservatory, no keys to unlock lounge windows and master en-suite tap moved about. Probably only annoying little things, but a lot of them, and when you're paying that amount you expect better. I was disappointed on a number of levels. I wrote a long review, but then deleted it, because in all honesty, what's the point? We all had a lovely week staying at the Shore House. 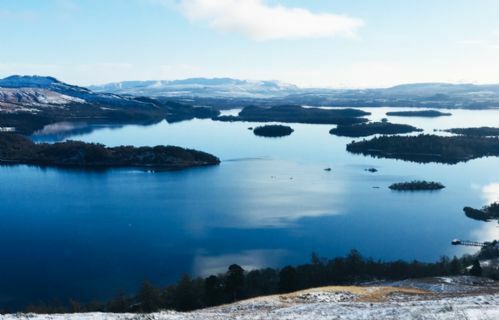 We couldn't believe how beautiful the views were from the house which is right on the Loch. The house is extremely spacious which meant we all had plenty of room. Everything had been thought of in the house (i.e from a range of board games to the cookware/glasses etc provided in the kitchen). 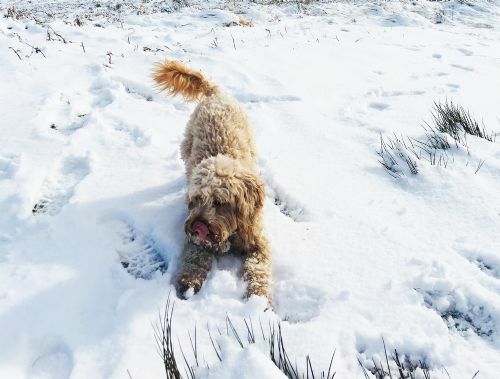 As this is a pet friendly house, we were able to take our dog, who loved the large outdoor space this house provided. Overall we had a fantastic time and we would definitely visit again! House was lovely and clean. Pictures do not do it justice, bigger and better in real life! Gorgeous location!! Fantastic stay! Would highly recommend! Beautiful views, lovely house with lots of added little comforts. We had a large group ranging from 2 year old to a 70 year old and all loved it. The proximity to tarbet pier for cruises was so handy. Would book this house for our family again in a heartbeat. Thank you for a very memorable stay. 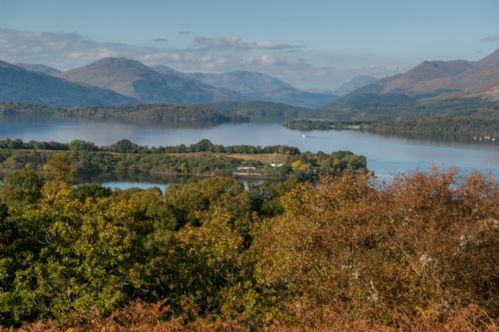 Excellent location, wonderful views down the loch. House was very comfortable and spacious. The beds were spotless and comfortable, the best sleep ever and everyone agreed. Good to include the dog who had room to run around outside. I think I missed the bit that informed you to bring linen for the cot but we managed in the end, I would certainly consider booking this house again. Great spot to spend Christmas, well equipped and very comfortable. Fantastic views and location. Overall very pleased. The shore cottage is a must visit place for short holiday. We enjoyed a lot here. The place is very spacious for 2-3 families. I would recommend this place for summer vacation. The property is very well managed and it provides everything you needed for a family vacations and enjoy! Really Good, all on one level, well furnished accommodation, with wonderful views. Would book again. To make excellent - really minor, however in entering, the heating had not kicked in and the house was very cold, we had traveled with my elderly mum and dad, who we had to wrap with blankets for the first hour until the heating kicked in. Unfortunately there were no kindling/firelighters to light fire, albeit a well stocked coal bunker and log shed. The television remote control does not work - we purchased batteries, however still could not get it to work. Could not see the switch to turn on the light and fan above the cooker. Lovely place -shame about the constant rain. Shore House has spectacular views of Loch Lomond and is well situated for the boat excursions and has it's own peeble beach. Very comfortable accommodation for a large gathering. The picture windows in the cottage allows you to sit back take in the views and relax. The property has four double rooms, three with ensuites, one bunk room and these have amazing shore views. The fourth double, although large, is dark and has a frosted window making it feel rather oppressive. This room could do with a proper window and has space for ensuite. Being the only room without a view it could do with brighter decor. Would definitely recommend for a large group of people as there is ample space to spread out. This was a last minute booking and we were delighted with the service we received from the booking agent & the property was excellent for our requirements: elderly parents-one with restricted mobility- and our dog. 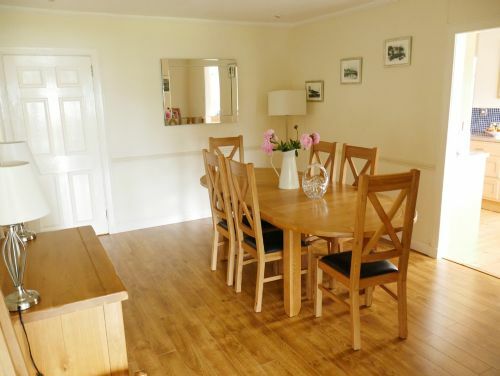 The house is do spacious so offers privacy & the conservatory is a great spot to look out over the loch & Ben lomond. A short walk to loch cruises & to the tarbet hotel where we had lunch/drinks outside & enjoyed some of the evening entertainment. We'll definitely go back to shore house. A more prominent sign locating the cottage on the roadside would be helpful as we drove past the entrance several times before we found it. A lovely few days spent with the family in good accommodation. A large, comfortable house ideal for a family get together. A beautiful spot on the loch & we were lucky with the weather to enjoy the lovely private garden. Bedding & towels were excellent & the kitchen had plenty of dishes & glasses. Fantastic views of the loch from all the windows. Lovely stay on the banks of Loch Lomond. Very nice stay on the banks of Loch Lomond. Lovely house, well supplied with everything you could need. Lots of space. Bit disappointed we could get very little signal for wifi. Shore Cottage was very well suited for familiy. 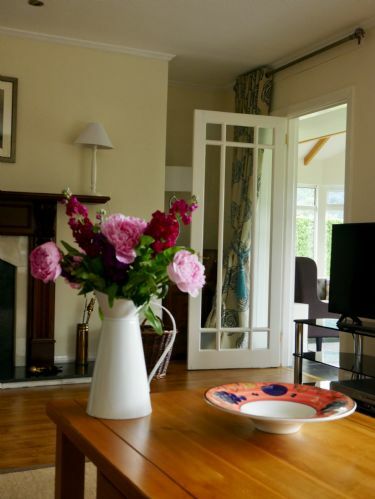 I want to extend my THANKS for the accommodation at Shore Cottage in Loch Lomond (Booking reference 1055477). The cottage and its amenities were excellent. A number of my family members came to Scotland for a wedding event. Though our stay was brief, your facility Shore Cottage, certainly made it possible to be among family in the traditional sense with the comforts away from home. I look forward to doing this again at Shore Cottage.